VEHICLE inspections declined significantly during last year's five-month moratorium. The main reason attributed to this is drivers having no fear of the law being enforced during that period. This opinion was expressed by Vehicles Inspection Association president Phillip Greaves. He explained that last June, prior to the start of the moratorium, approximately 500 vehicles were inspected. Greaves said that figure was similar at his inspection station in Diego Martin and other stations in different parts of the country. He said before the moratorium began, there was an average of about 50 to 60 vehicles per day going for inspections. But as the moratorium continued, Greaves said there was a noticeable decline in drivers taking their vehicles for inspections. Some days there were totals of 62, 50 and 20 vehicles. Further into the moratorium, Greaves said these numbers dipped even further. Information showed that approximately five to ten vehicles per day were going to inspection stations. Griffith said the low numbers of vehicles going into his station, resulted in some of his workers not being needed. As the moratorium neared its end on December 31, the number of vehicles going for inspection increased. Since the moratorium ended, an average of 100 vehicles per day have been going to Greaves' station. Greaves said this is happening "across the board" at several other inspection stations. He said some drivers may not be going for inspections due to the opening of the new school term. Other drivers, Greaves continued, may be waiting to see whether the authorities will be cracking down on people who have not had their vehicles inspected. Officials at the Works and Transport Ministry were unable to provide any statistics about vehicles inspected or vehicles still to be inspected. Earlier this week, Works and Transport Minister Rohan Sinanan said he did not have that information. But Sinanan said it is obvious there were many drivers who did not take advantage of the moratorium. He has already said there would be no extension. 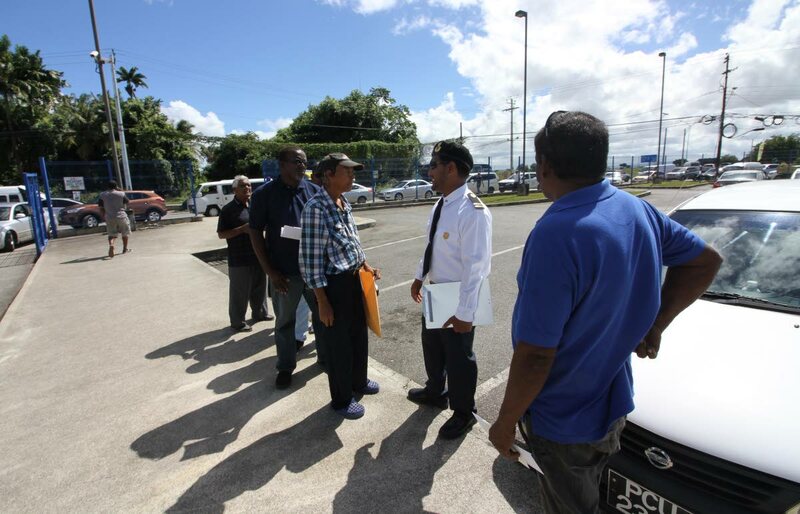 Checks at the Licensing Office in Caroni and inspection stations in Marabella and Charlieville, showed drivers are still going to get their vehicles inspected. Kerry Ramnanan, who brought his vehicle for inspection in Marabella, said he forgot when his inspection was due. A driver named Abdul, who got his inspection done at Caroni, said some personal matters prevented him from getting his car inspected last year. He was hoping there could be some leeway for inspections. A driver named Brendon said he was worried about the $5,000 penalty for vehicles which have not been inspected. On Thursday, Licensing officers in South Trinidad issued tickets to drivers of derelict vehicles which did not pass inspection. Reply to "Inspections declined during moratorium"